Hazlitt drops in on Nick Harkaway, née Nicholas Cornwell, at his London local. Discussed: his new novel Tigerman, writing as a compressed statement of identity, and the anxieties of paternal influence. Nick Harkaway is sitting at a booth overlooking the staircase that leads to the otherwise-empty second floor of a north London brasserie. The writer of cult encyclopedic thrillers The Gone-Away World (2008) and Angelmaker (2012)—in which dark, lurking forces threaten the safety of the world as we know it—admits “There’s a slightly Godfather vibe” to the setting of our interview. But Harkaway couldn’t look less like a mafia don, with his unruly nest of hair, army jacket, Lego-encased iPhone, and the bushy brows that hint he’s the son of writer John Le Carré. Before joining his father’s profession, Harkaway (born Nicholas Cornwell) spent nine years as a paid-but-unproduced scriptwriter, in what he calls “the most frustrating period of my life.” He sent a manuscript of The Gone-Away World pseudonymously to an agent he didn’t know, and the hefty advance that followed showed he had no need to ride Le Carré’s coattails. Both Cornwells write big books full of international intrigue, but where Le Carré’s have an atmosphere of subtle menace informed by his direct knowledge of the intelligence world, Harkaway’s are gonzo efforts encompassing adventure, offbeat comedy, made-up martial arts and mechanical bees. His latest, Tigerman, is less digressive than its predecessors, although he still manages to riff on subjects such as the difference between Americans and Brits and the nature of narrative itself. Tigerman is set in the fictional island Mancreu, in the Arabian sea; formerly both an English and a French colony, it’s threatened with destruction by an international community frightened of the radiation unleashed by its frequent eruptions of “Discharge Clouds.” Lester Ferris, Britain’s one remaining representative, is both a bureaucrat and a law-enforcer, and he uncovers ominous ties between a series of disparate events from a missing dog to a murder. Egged on by his unlikely best friend, a native pre-teen obsessed with Western comic books, he becomes the island’s vigilante hero. Harkaway lives near the brasserie, and near where he saw a pelican eat a pigeon—“There is footage. It’s really, really ugly”—an image he used as the opening of the book. For him, it indicates “that the situation is messed up” on Mancreu, but it also shows his habit of weaving everything that captivates him into his writing, hoping the reader will be captivated too. His conversation is both rapid-fire and elliptical, and it would seem manic if he weren’t so relentlessly good-natured. Here, he talks about nuclear tomatoes, building crystals in readers’ heads, superheroes, and not-so-secret identities. Did you write parts of Tigerman here? Probably. I wrote a bunch of Tigerman in a little café up the road, and I wrote the first draft basically on a first-generation iPad on my knees, with an onscreen keyboard. I am therefore completely contemptuous of anybody who tells me you can’t use an iPad for productivity, even though it was slightly a pain in the arse. Having been a scriptwriter, if you give me a stick and some mud, I believe I could write you a novel on tree bark. If you’re a scriptwriter, you write in hotel rooms, in coffee shops, before, during, and after meetings; you write when you’re hungover—all that stuff. My box of paper is full of stolen menus with passionately inscribed book notes on them. And the rise of digital technology seems to have halted me in that regard not at all. Everything is on Evernote. Is it helpful for you to get out of your house? You’re referring to your father, right? Yeah, material, but I was on a train going to the Hay Festival a couple years ago very early in the morning, and the other guy in the compartment was a senior civil servant on his mobile telephone, discussing the details of an arms deal with Saudi Arabia through a British company, which was extremely privileged information. They were using all kinds of things to get around some piece of legislation—it was about circumvention. I was [thinking], “This is a) the most indiscreet thing I’ve ever heard, b) totally disgraceful behaviour, but c) I should be on the phone either to the campaign against the arms trade or to my broker—possibly both.” And that’s why we’re at this table: because there’s nobody here. In Tigerman, on Mancreu, everything seems to exist on more than one level, starting with Lester, who’s the Sergeant and also the Brevet-Consul. I hadn’t thought about that. Funnily enough, in the new novel that I’m writing, everything is multiple; everything means one thing, means another, has several faces. There’s an issue about which of the characters is actually the narrator. I guess that’s a thing that I do—everybody has multiple identities. I just think that’s true. On a very simple level, I have two names: Nick Harkaway and my real name, and I mix them; they’re fractionally different from one another. 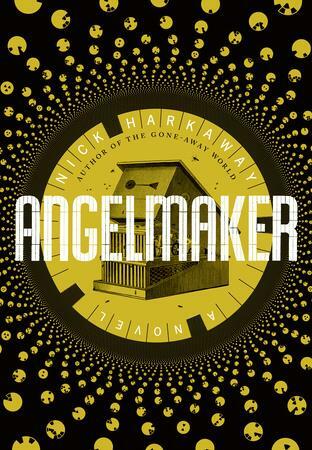 Nick Harkaway has a tendency to wear loud jackets; he doesn’t get stage fright. And then there’s me: I tend to be much more casual and slop around the place, and I do definitely get nervous when I’m asked to go and talk to large groups of people. Life calls upon you to be different people in different rooms, and so everybody has layers of identity. To my enduring delight, I am now making him anxious. Just a little bit. This is a really weird comparison, but when I was at university, everybody was into postmodernism of one form or another. In art and architecture it has very specific meaning, but elsewhere it’s completely bamboozling. It means a variety of things to different people, and one of [them] was that everything was equally valid and there was no way of getting from what you could be sure of in terms of Cartesian doubt to a moral or a physical world. And it basically came down to, how much time do you want to spend looking at the ground under your feet and wondering whether it is the ground under your feet? That’s how I feel about the relationship I have with my father—and with my mother as well in the writing context, because she is an extraordinary muse, facilitator, representative manager, editor, agent figure for my father, so their creative relationship is absolutely inextricable. So I could either spend a great deal of time trying to work out where my father’s fingerprints and my mother’s are in my work, or I could write more work and let other people worry about that. I choose the second. That’s how I feel about the relationship I have with my father—and with my mother as well in the writing context, because she is an extraordinary muse, facilitator, representative manager, editor, agent figure for my father, so their creative relationship is absolutely inextricable. When Gone-Away World came out, I was unfazed by the idea that people should know, largely because quite a lot of people in the publishing world bounced me on their knee when I was a kid. [If] I was going to keep it under wraps forever, [I’d] then have this whole Bruce Wayne thing where if I was successful, Nick Harkaway was going to be this guy that no one ever saw, and no one knew that I was doing anything, and meanwhile, I was living in this house apparently doing nothing with myself—it was just completely ridiculous. Tigerman reminded me of your father’s work in the sense of how everyone is compromised. There’s a geopolitical situation where everything and everyone is inextricably entangled. That’s really just how I see the world. And also, I’m married to the executive director of Reprieve, the human rights charity, so I know everyone’s compromised. Basically I have a degree in revolutionary troublemaking on a global scale. There is no aspect of my life training and experience that does not cause me to believe that there is a measure of compromise in everything, and I have no problem with that. Again, how much time do you want to spend staring at the ground beneath your feet? Does it invalidate the good that you do if you do bad things from time to time—not catastrophically bad, but if you’re just mean? Quite a lot of people who do really great things can actually just be quite mean. Does that make who they are less attractive? Yes. Does it make what they achieved on behalf of the world less good? No. So we all live with compromise. Tigerman plays with the superhero narrative, to which Lester tries to adhere to for the sake of the kid. He wants to be an entirely positive heroic force, and it’s impossible as everyone is compromised …. Are you commenting on the traditional superhero narrative? I wanted this [novel] to be about the two of them and the shapes they twist themselves into because of the different loves that they have. They have priorities, things that they will do anything for, and those priorities shift during the story, which often is problematic for both of them, and so the wider world plays its part to complicate their relationship. I wasn’t really commenting on the superhero story—it’s the other way around. I think superhero stories comment on us. They talk about our dreams, our aspirations, and our archetypes, so you have a description of Superman as being about hope and faith, and Batman being about resolve. Superman is the belief that someone will save you, and Batman is the realization that you have to save yourself so no one else is going to do it. There’s enough rage left in you to get back off the ground. Batman, you know that sooner or later, will lose one; he’s just a guy, and he takes on these things that are completely impossible—slightly stupid, even. These fights are completely full-on because Batman’s trying to show the criminal population of a city in deep decay that they cannot function in the way that they want to, and that’s not a lesson that’s ever going to take, and if he pushes it too far, he becomes this terrifying totalitarian force. You see that in Frank Miller’s stuff: the Batman of the future, this alarming shadow governor of Gotham. You either have this perfect man who’s essentially an angel, but he can’t reform the world for some reason—he tries to save everybody from the fact that it’s horrible without ever trying to change it—[or] Batman, [who] does try to change it but he’s fighting a losing battle. At best, he can hold back the tide for as long as he has physical strength. I relate those [characters] to Robert Warshow’s writing about the gangster in post-Depression cinema, where the gangster is this guy who sticks his head up above the parapet; the system is broken, so he breaks the system back, and he stands by himself with the gun and takes what he needs and establishes a kind of code, but ultimately it’s made out of violence and antisocial behaviour, so he has to be brought down: the tall grass gets cut. And he’s a kind of release but at the same time a symbol. There’s very little to choose then between the gangster and the revolutionist, who is trying to establish a new order, tear down the old. I think these popular culture shapes are in comics as much as they’re anywhere else, and they tell us a great deal about the American myth and the shapes of culture under global entertainment which partly comes out of Hollywood and New York. And there are differences to how we tell stories in the UK, but we recognize those shapes and we understand them. 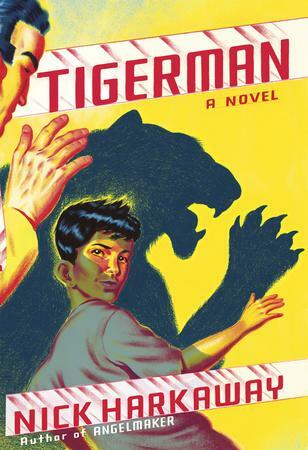 Was it a conscious choice to make Tigerman more compact than your earlier novels? Yeah, very much so. I wanted to see what it was like to work on a smaller canvas. And I wanted it to be about this very tight relationship that takes place over about 12 days on an island basically in one place. It obeys loosely the unities—it’s a nice discipline. I think this is my most accessible book, because it requires less of you in terms of suspension of disbelief and craziness. What makes the complexity accessible is that you never have a sense of being lost. I tend to use a three-act structure all the time and a detective story structure, so it goes, “Crime – investigation – solution.” And the crime can be metaphorical: it can be not being true to yourself. The investigation is, “Now what do I do and how was I untrue to myself?” and the showdown is, “Let us exorcise this demon.” As long as I know that simple structure is in place, if I then decide that I’m going to go over here and talk about nuclear tomatoes or whatever, you’re still okay with it. I wanted it to be about this very tight relationship that takes place over about 12 days on an island basically in one place. It obeys loosely the unities—it’s a nice discipline. Here, there are two crimes going on. There’s the destruction of the island, which feels like a crime, and there is a murder investigation, and out of that waterfalls all this complexity about putting on a tiger suit. And then it comes to an endpoint, and the solution is not necessarily the solution you would expect. Although the plot takes you in unexpected directions emotionally and in terms of tension, the plot feels familiar, satisfying, solid. I’ve always wondered in the extreme version of this whether you could tell a story which was three completely separate events, totally unconnected, whose only junction was that they were emotionally appropriate to make that structure, so you have a beginning over here with Fred going to the fish market getting mugged, then you have a story over here about Sarah who’s a harpist preparing for her first harp recital, and then you’re over here talking about Anwar, who’s a relief worker getting out ten kids from a combat zone, and that’s your whole story. There’s no connection between them at all, but because of the way it flows, it’s still a satisfying read. Something like Ghostwritten by David Mitchell? Maybe. Well Mitchell seems to be always over the sanity horizon in terms of the plot ideas I’m having. He’s like, “Oh, by the way, I have already done this.” And I’m sitting there going, “Damn you!” but he’s been doing it longer than I have. 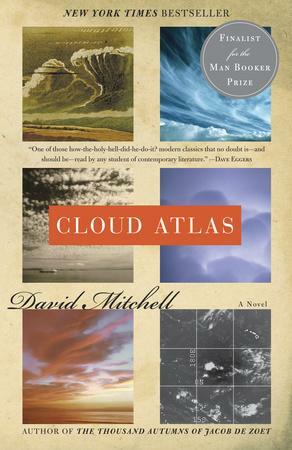 In 2010 you posted on your blog that you had read the first ten pages of Mitchell’s Cloud Atlas and then written the first four pages of a novel on airline boarding passes. Was that this one? Yeah, in Thailand. It was the [episode in Cloud Atlas] about the guy collecting teeth on the beach. I just thought that was extraordinary, and it always irritated me that there wasn’t more of that guy in the book than there was. It touched off the opening image in Tigerman? It was just so good. It wasn’t anything specific about it—it was just good. Good writing can do that to me. [William] Gibson’s Zero History and Spook Country and Pattern Recognition—every time I read them I start writing another book, and I read them quite a lot, so I have all these unfinished novels—unstarted novels, really—the first ten pages. Anne Michaels’s Fugitive Pieces, wonderful beginning. Michael Chabon’s Final Solution also fed into this book, and that begins with something very similar—a boy walking with a parrot on his shoulder down the railway line. I endlessly reuse the cadence from Friends of Eddie Coyle—the first line is, “Jackie Brown at 26 with no expression on his face said that he could get some guns.” I think that rhythm is just superb. Yeah, its resonance, its buzz. Ooh. 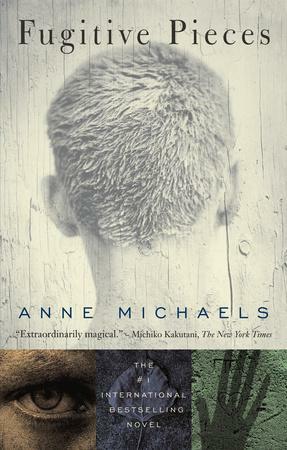 At the end of Blind Giant, you recommended that people wanting to navigate our digital world start by reading a novel. 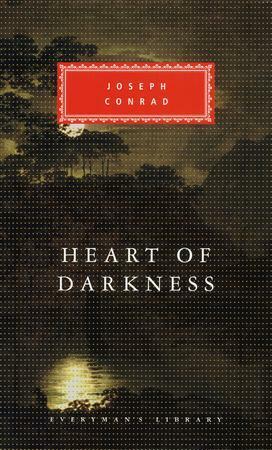 You mentioned Conrad’s Heart of Darkness and how difficult prose can make a literary work stick with people. Your own work isn’t difficult to read, but it has its own texture. The prose makes its presence known; it’s not George Orwell’s idealized pane of glass, and maybe it sticks to the reader because of that. I choose to believe that my writing is meatily accessible but that the ideas contained in it are non-simple and they sometimes will come back and bite you much later. With the conceptual stuff, I want to roll a fizzing bomb into your brain: just leave you with something where maybe six nights after you finish the book, you wake up and go, “Ah.” And so it’s not about making you struggle on the page, it’s about giving you an open door into a quite complex thing. Here’s a scientific metaphor: I want to supersaturate the liquid of ideas in your brain and hope that sooner or later a grain of dust from the world will drop into the solution, and then suddenly, bang! You have a crystal right there of new stuff in your head that you can’t get out, that you have to accommodate and learn your way around. That’s my goal. If I can do that with ideas that I think are useful—smuggle them into your head and have them detonate there—that’s great. I’m not into message, but I want my sense of the world, my identity, to be conveyed in the book, so that when you read it, you’re taking a little bit of that away with you, and maybe you encounter something that then triggers it and you have a new perspective on something that actually exists, and then I’ve done something that’s actually important, as well as entertaining you. Voilà. I don’t usually admit to that because it sounds that I’m a crazy mind-control freak, but I tend to think of novels as massively compressed statements of identity. The stories we tell are about who we are, and so a poem has the most super-compressed emotion and tone, and haiku is probably the most compressed form, and then a novel is a statement of where you are and what you think about a whole number of things at any given time. When you read one, you take that into yourself and make it part of your daily experience, and what I hope is that the daily experience I leave you with is a little bit stranger and a little bit more exacting and curious. Milkpocalypse 3L is upon us.